One of Canada’s historic cities, the City of Brockville was settled in the 18th century (1785) and grew to become the village of Elizabethtown in 1810. The city offers a great mix of recreation facilities, nature, parks and trails, restaurants and cafes, and a lot more. The area was first inhabited by Iroquoians living at the banks of the St. Lawrence River. English-speaking settlers arrived in 1785 after the American War of Independence. The former village of Elizabethtown was later renamed Brockville (1812) after General Isaac Brock, a colonial administrator, political leader, and major general from Guernsey. The settlement grew as an important industrial hub in the 19th century, with hotels, a brewery, foundry, tinsmiths, tanners, and shipbuilding companies. There is plenty to do and see in the City of Brockville, from trails and parks to museums, an underwater sculpture park, and more. 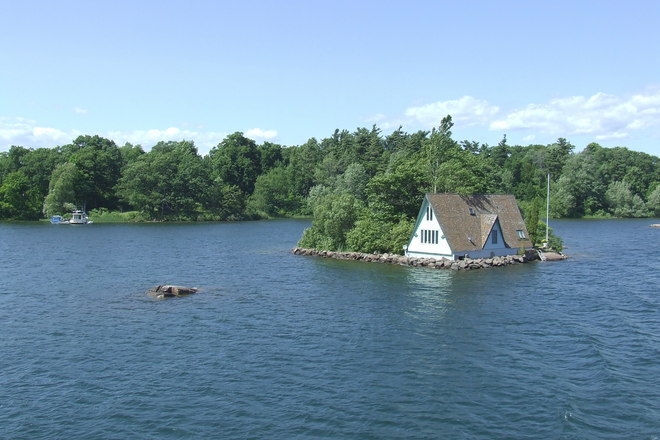 A group of islands situated in the St. Lawrence River offers recreational opportunities to visitors and residents alike. These include kayaking, canoeing, boat launching, and other activities. If you are into diving, the city offers wreck diving opportunities to visitors, with many sunken ships found in the river. The city also features sports and recreational facilities to use throughout the year. During the winter months, visitors enjoy dog shows, multi-culti fairs, trade fairs, hockey games, and more. Visit the Memorial Park recreation complex and have fun. Situated on the St Lawrence River, the Aquarium at Tall Ships Landing is a great place to have fun. The aquarium is a discovery and learning centre that helps visitors to explore different aspects of life. Plus, there are some nice fish and chip shops, pizza places, restaurants, and cafes near the aquarium. If you are a nature lover, then you can check the Brock Trail. This is a multi-use cycling path and a great place to spend time with your children. This is because the trail is just 6 km long. What is more, it can accommodate almost everyone – strollers, wheelchair users, roller skaters, and pedestrians. Popular recreational activities include scuba diving and swimming. If you need help, guided tours are also available. Residents make every effort to sustain the city’s vibrant cultural life, with different art and music associations such as the Thousand Islanders Chorus, the Brockville Operatic Society, and the Brockville Artists Studio Association. You can also visit the Brockville Museum to enjoy the exhibits and collections showcased there. There are temporary and permanent exhibits showcasing artefacts and objects once produced in the city, including frying pans, automatic electric telephones, St. Lawrence engines, and more. The museum also offers school programs and activities for kids, including guide or scout programs, birthday parties, a children’s room (the Children's Pioneer Play Room), and a backpack program. Fulford Place is a must-see and a wonderfully preserved historical place in the City of Brockville. The mansion was constructed by Senator George Taylor who patented the “Pink Pills for Pale People”. The mansion is truly a gem that features stone gates and walls, a beautiful triton fountain, and Italianate-style gardens. Fulford Place also features exhibits that showcase ceramics, statuary, paintings, and tapestries from around the world, which Fulford collected during his travels. The Brockville Arts Centre is also worth a visit if you have some spare time. The centre offers live concerts and theatre performances, including film series, ballet theatre performances, shows, and a lot more. The centre also features an exhibition hall which showcases the work of regional and local artists. When you visit the City of Brockville, you’ll find out that there is plenty to do, from live theatre and music to summer and winter events, festivals, golf and other sports, and a lot more. You can choose from a number of cafes, restaurants, and pubs in the downtown area as well, including Japanese, Chinese, Indian, and others. Shops abound around the city if shopping is what you want to do. From toys, puzzles and games to clothing, books, cruise wear, and nautical apparel, there is something for everyone to buy and enjoy on their trip to Brockville and back home.